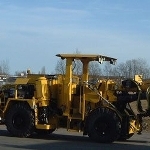 The Boltec MD available from Atlas Copco is a fully mechanized rock bolting rig that is specifically developed for roof heights of approximately 9.5 m and for bolt lengths ranging between 1.5 and 3.5 m. The rig features a direct control system for positioning, bolting and drilling operations. 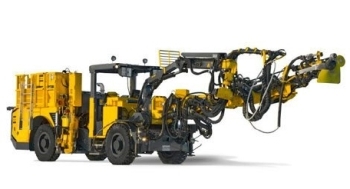 In addition, the unit is equipped with the COP 1132 short, high-frequency hydraulic rock drill, which is particularly designed for bolt-hole drilling tasks. MBU bolting unit enables fully mechanized bolt handling for increased productivity; it carries 10 bolts in its carousel and controls all the generally used bolts in the 1.5 to 3.5 m range. COP 1132 hydraulic rock drill offers excellent penetration rate with superior drill steel economy.